Located at the northern end of Bassenthwaite Lake and just a few miles from Keswick and Cockermouth, Kiln Hill Barn is in a great location. Keswick, with its variety of shops, restaurants, cafes and galleries, cinema, leisure centre, museum and well reputed theatre, has much to see and do for those that like a little town life. Whilst the surrounding National Park has equally as much to offer for those that enjoy peace and tranquility. The whole Northern Lake District is a haven for walkers and those that enjoy ‘the great outdoors’. There are many other activities in the area to choose from though, including cycling, water sports, fishing, bird watching and golf. 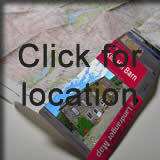 Below are a selection of website links to activities near Bassenthwaite. There are many activities, for all ages and abilities, in the Lake District and Cumbria. Cumbria GyroplanesTake a flight in a gyroplane, the Lake District from above!